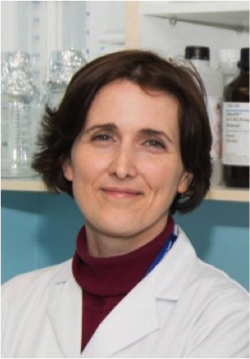 Virginia Arechavala-Gomeza is part of the Action’s Management Committee, as well as Member of the Biochemical Outcome Measure (BOM) Working Group. Dr Arechavala-Gomeza studied Pharmacy in the University of the Basque Country, Spain, and an MSc at the University of Strathclyde in Glasgow, Scotland. During her PhD with Prof. Chris Shaw (Neurology, King’s College London) she studied SOD1 mutations that cause amyotrophic lateral sclerosis (ALS). Shortly after her PhD, she joined the laboratory of Prof. Francesco Muntoni as a postdoctoral researcher where she coordinated the preclinical development and the laboratory analysis of the two first proof of principle clinical trials of morpholino antisense oligonucleotides for the treatment of Duchenne muscular dystrophy. In June 2013 Dr Arechavala-Gomeza joined the BioCruces Health Research Institute in Spain, where she leads a newly created Neuromuscular Disorders Research Group. She is particularly interested in the development of accurate biochemical outcome measures and in particular in dystrophin quantification, a field in which she has several publications.